Four-color process printed on Side 1 of uncoated 80lb Smooth White stock. C1 business card slits on both pockets. 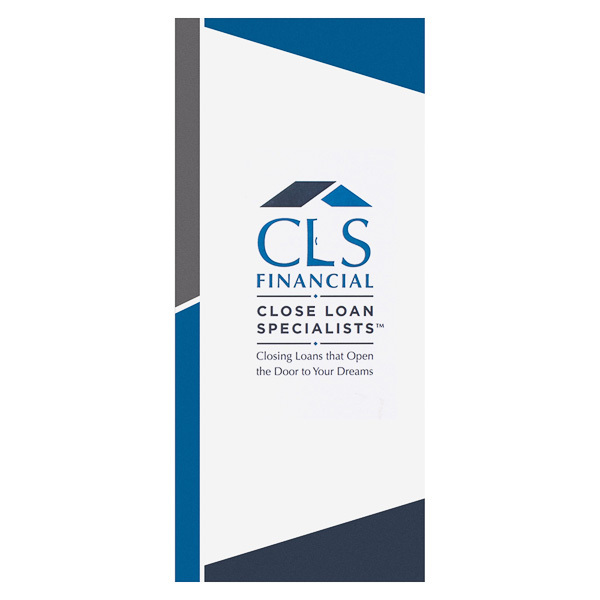 Polished blue, gray, and white panels help CLS Financial build trust with clients. Type on the cover is capped with a little roof to look like a house. Two pockets hold loan info and a flashdrive with the client's closing documents. The roof shape spans both pockets to remind recipients of the brand's logo. Contact information on the back cover is accessible yet doesn't distract from the design. Four-color process printed on both sides of uncoated 80lb White Smooth stock. C1 business card slits on left pocket. 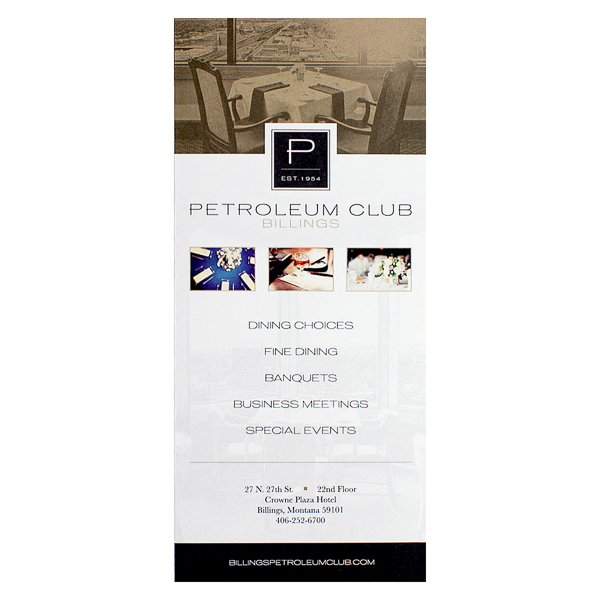 Sepia tones give the cover photo a vintage look, hinting at the Billings Petroleum Club's rich history. A second photo is just visible behind the club's list of services. Contact information appears at the bottom in small, discreet print. Both interior panels provide information about the dinner club, with a brief history and description on the left and business hours at right. Black pockets with gold ink carry on the club's luxurious color branding. Membership fees are listed on back for those who would like to join. This slim, stylish product is easy to hold in one hand and even easier to store. Two v-split pockets hold 3 11/16" x 8 1/2" paper, including letter-size paper folded into thirds. Digital printing makes this item great for reproducing photos or other detailed designs. Print limitations apply: design elements are limited to 50% or less of the product's total surface area and cannot cross score lines; this lets you streamline your design by including only the most important elements.